“At the time it didn’t seem like a big deal,” explained Neil Papworth, the twenty two year old British engineer, after sending the world’s first ever text message back in 1992. Almost 20 years ago to the day, Neil marked his place in history, revolutionising communication as we know it, all by sending a text message that read “Merry Christma.” The elegant simplicity of this message soon went on to define the very nature of the platform which has grown to become a cornerstone of mobile communication in the 21st Century. In the beginning, SMS was seen as a clever way for an operators’ employees to send simple messages to one another and at the time, the industry knew little about the impact this technology would have on billions across the globe. Although the first text message was sent in 1992, it was only a year later in 1993 when the first commercial deployment of a short message service center (SMSC) was installed by Aldiscon, now part of Acision at Telia (now TeliaSonera), in Sweden and the first commercial SMS was sent. 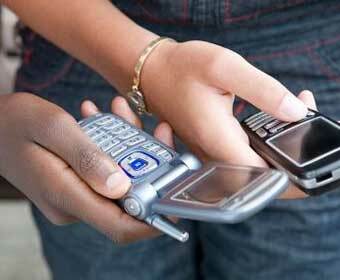 However, mobile messaging did not become commonplace until the early 2000’s. UK mobile users now send, on average, 50 texts a week, according to the Mobile Operator Association. The evolution of text messaging over the past 20 years has been simply staggering. With a potential reach of more than five billion people across the globe and an impressive 98 per cent of messages being opened and read, text has grown to become the leading personal messaging service in the world which is used by all demographics and age groups. The latest figures from Ofcom’s annual communication report show that usage surpassed voice calling for the first time in its history, and with UK mobile users alone sending over 150 billion SMS messages in 2011, an increase of 17.3 per cent YoY. But why text? And most importantly, why is it still popular today? This is something that can perhaps only be answered through a deeper psychological understanding of the human mind. According to internet-enabled communication expert and psychologist Graham Jones, running in the back of the people’s thoughts is the need to do everything with the least possible effort: “We instinctively search for the easiest way to communicate.” From its very inception, with the effortless yet perfectly apt message, “Merry Christma” (the ‘s’ was missed off), text messaging has grown to embody communication in its simplest form. In fact, the notion of SMS simplicity actually predates the medium itself. In 1985, researcher Friedhelm Hillebrand was thinking about adding a text messaging service to the nascent cellular telephone system. In doing so he typed various statements and brief messages onto a typewriter and discovered that all messages fit within 160 characters, which went on to define the very nature of the medium – Short Messaging Service (SMS). The length that Friedhelm deemed “perfectly sufficient” for all communication purposes also formed the basis for the wildly popular social network Twitter – demonstrating yet again that simplicity is key! Even with the rise of Over-the-Top (OTT) and Instant Messaging (IM) services, industry experts believe SMS revenues will continue to increase globally, estimating that mobile networks will earn $726bn from SMS over the next five years (Portio Research). Interestingly however, the service has remained fundamentally unchanged since its inception and the ubiquitous nature of SMS amongst other factors have contributed to its success: reach, reliability, speed, ease of use and its open rate. Such attributes have helped to give SMS a dominant status, yet with the current mobile messaging landscape developing at an impressive rate, remaining relevant and enriching the user experience is key to co-exist in today’s mobile world. In order to continue to carve a clear role in messaging 20 years on, it is imperative that operators fully leverage the huge opportunity they have to enhance mobile messaging and deliver a service not only for text but for instant updates, notifications, social chat, file transfer, presence and connecting social networks. As experienced service providers, with a solid customer base, reputation of trust and quality, as well as insight into user behaviour, operators are in a unique position to leverage existing assets while integrating new messaging services into their offering that resonate with the user. As consumers adopt new messaging applications, we are witnessing a clear appetite for services that enhance and enrich the messaging user experience, which is supported by our own messaging research. Questioning 1,250 smartphone users about their messaging requirements (from the UK and US), respondents were asked about the attractiveness of a new operator-based service that provided SMS/MMS/IM/group chat and file/video sharing that reaches all mobile users across all devices and networks. Over half (52 per cent) stated they would use such a service, with just five per cent stating they would not use it at all. Even in the younger age bracket of 18 to 34 years, where OTT apps are most prevalent – 60 per cent of smartphone owners stated they were highly interested in such a service from their mobile operator. When asked what this messaging service should look like, top requirements were related to service characteristics. Price, already identified as the main driver to OTT service uptake, was also the number one requirement for adoption of new rich messaging services, including lower price compared to the existing service (63 per cent) and service included in package (57 per cent). Additionally, Quality of Service was key, corresponding to strengths of SMS including reliability (50 per cent), instant delivery (45 per cent) and ability to reach everyone (42 per cent).There was also a clear need for enhanced messaging features including: support for multiple devices (35 per cent); content sharing (32 per cent); live typing indication (24 per cent); conversational view (24 per cent); group chat (18 per cent) and status sharing (14 per cent). Irrespective of platform, the research shows that mobile users require a service with the universal reach and uncompromised Quality of Service expected from their operator, but also with enriched features. Alongside this, there is a huge untapped opportunity for operators and brands alike to leverage SMS as an engagement platform. SMS has the greatest reach of all connectivity channels and is one of the most trusted mediums of communication. It enables enterprises to reach out to and engage with mobile users, customers and employees, with reliable delivery and a 99.9 per cent guarantee of being read almost immediately. For consumers, receiving a text gives them the control to whether they decide to opt-out or action it, making the experience feel personal. The challenge brands face is to ensure they provide a highly targeted and relevant service to generate a positive response. Even two decades on from its inception, enterprise messaging, is a relatively immature and unexploited route. However, if intelligently used SMS as an engagement tool – one of the only engagement channels left unexhausted – it could be the biggest winner of them all. Nobody can deny the incredible success SMS has enjoyed since its birth in December 1992. The medium quickly grew to become the trigger for the messaging world we know today and it must now evolve in order to remain relevant tomorrow. Text messaging not only continues to flourish it stands as a communication platform accepted by all, with a unique simplicity. While market uptake of OTT messaging has been augmented by perception that such services are free, these rely on a data connection and without SMS to fall back on when connection is down, they risk a perception of service degradation. If operators can successfully combine the reach, reliability and simplicity found in SMS with a rich user experience offered by new OTT applications – this presents a powerful opportunity to shake up the messaging space and ensure ownership of it by embracing standards such as the GSMA’s Rich Communication Suite (RCS) initiative. So, we must say, “Happy 20th Birthday SMS” as we now look to what can be done to evolve and enrich this successful communications channel. You never know, we maybe celebrating the 40th anniversary of SMS and messaging with a bang in 2032.